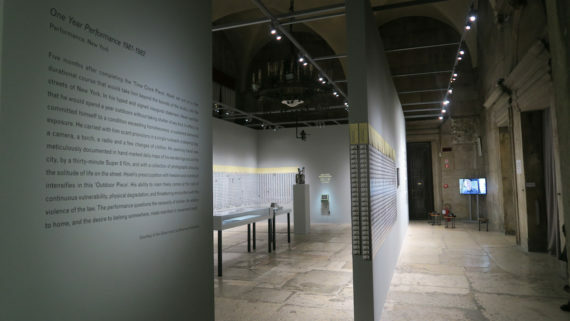 TEHCHING HSIEH: DOING TIME Presented by Taiwan Pavilion, Palazzo delle Prigioni, 13 May to 26 November 2017 | 57th Venice Art Biennale 2017. I was focused to two films of Hsieh’s art and life: one is a Video of Hsieh’s “EXPOSURE” 1973 and 2016; the other is a film by Andrian Heathfield and Hugo Glendinning about Hsieh, “OUTSIDE AGAIN” 2017. 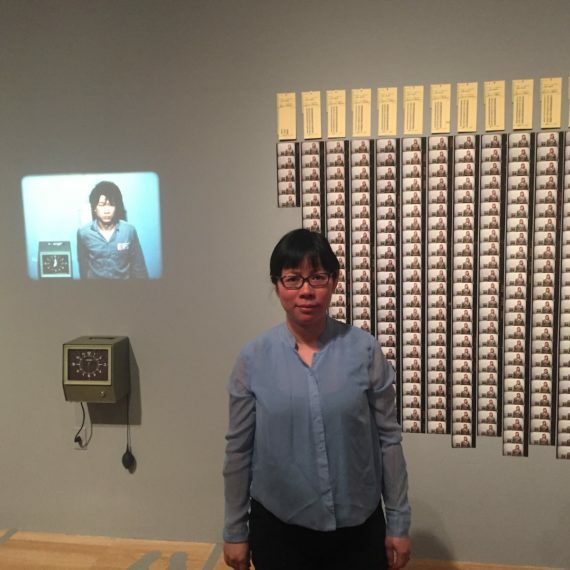 I could see Tehching Hsieh’s durational performance from “EXPOSTURE” piece. I am interested in artist’s destiny and how he set himself out in his life without even knowing this was his destiny. To me, his destiny was clear to him before he went to New York. He knew what he wanted to do. He also knew what he didn’t want to do. But he didn’t know what he would do and what his work would become – time in his art. What is the concept of my silent opera piece? I wrote this proposition on my second day when I woke up in the morning. I heard the silence and new sense of silence for the first time. It was a beautiful experience, and discovered that it is because the city does not have cars passing which is different than any other cities. 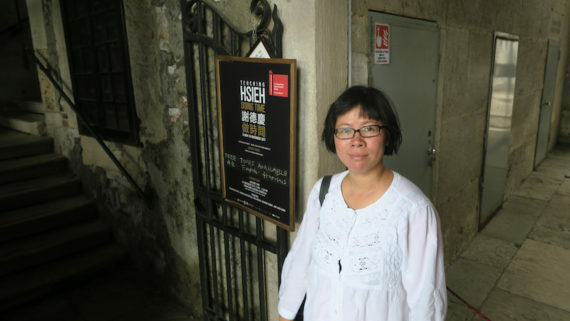 Does Venice of Silence relate to Hsieh’s work of silence and my work of silence opera? TEHCHING HSIEH: DOING TIME Presented by Taiwan Pavilion, 57th Venice Art Biennale 2017 | Photo by Li-E Chen, SEPT 12, 2017. Art is not the most important thing in life. Life is more important than art. I would like to use silence to speak about life and the life – artworks of Hsieh. This is something that is an utterly impossible task to do. He did it through his life time. I don’t know how I could do it with the idea of opera. I am stuck and hitting my head and body on the wall. Silence is the only language that can speak about life to me. When one strips forms away, no-one needs to ask for permission, except from one’s own self. This was exactly what Hsieh did and created his own form, which is “art without form.” What would I do with my opera? What would I do after stripping everything away? What would I be? I don’t want to make art and loose life. I want to have life, breath and pass time both in life and art. 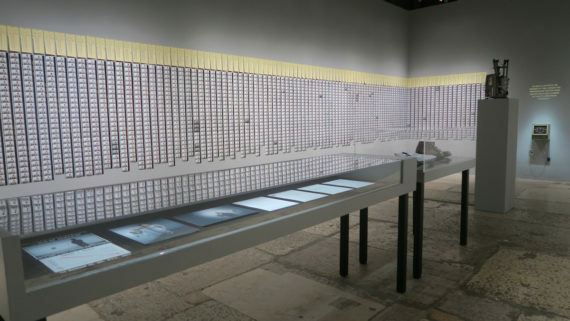 Tehching Hsieh: One Year Performance 1980-1981 at TEHCHING HSIEH: DOING TIME Presented by Taiwan Pavilion, 57th Venice Art Biennale 2017 | Photo by Li-E Chen, SEPT 12, 2017. I arrived at the venue entrance, I waited to walk around the venue outside in a circle and went back to the exhibition space again. Hsieh worked for himself. He was his own labour of his art. I was witnessing someone’s 100% passion for life, nothing else could stop him from doing what he wanted to do. I wondered what made him to do this? I wondered what made him completely “fall in love with life.” Was it because of freedom? What was his first motivation when he wanted to do art? It is a different time of day, light is darker. I will take one year to write my silent opera instead of writing it in a week here. 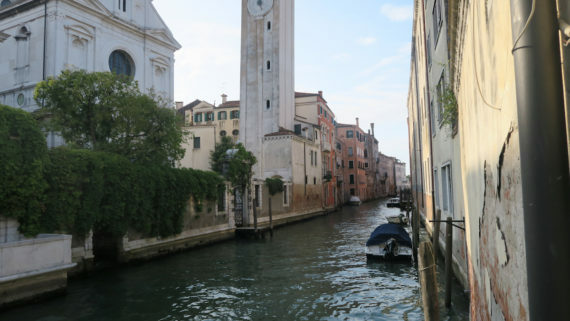 The last day of my visit, I go around Venice by boats and cross the other side of the rivers. I would like to remove everyone’s agendas from my works including people who work with me, support me and engage in my works. Invisible Museum will allow me to do this. Statement: My “Nothing Manifesto” is my function of the Museum. “I declared, I am invisible now” will be for anyone who engaged in my work. I hope to work with a sculptor, a singer, a conductor, a composer and art historian for this duration of the project. I was wondering how Hsieh’s work will be presented by someone or place without any agendas, what would this be like? what if this is what invisible museum is doing to present kinds of work that does not have an agenda. Nothing manifesto and nothing political.